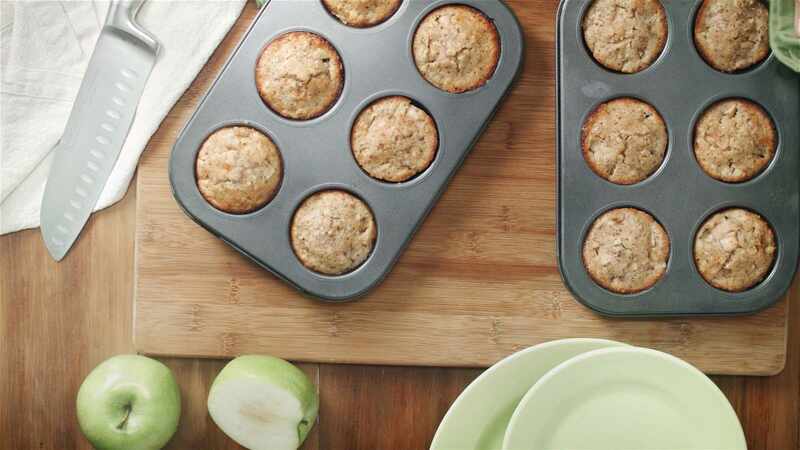 These hearty apple cinnamon muffins are made with milled oats, Greek yogurt and flaxseed. They’re the perfect for a make-ahead breakfast. You could even buy whole oats and flaxseeds and mill them at home in a food processor. Journalists: The broadcast-quality video (1:47) is in the downloads.